Please note this comes in a plain white bag. 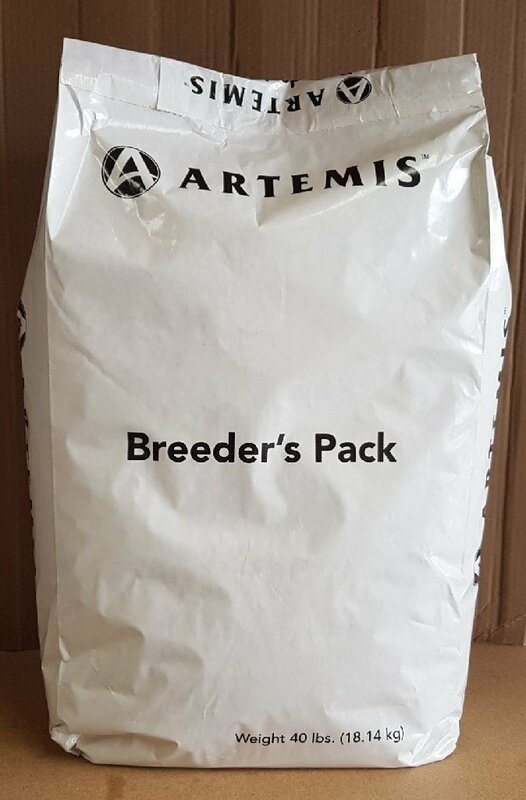 This formula is especially for medium and large breed dogs for all life stages including growth of large size dogs (70lbs or more as an adult). Chicken, Chicken Meal, Turkey, Barley, Brown Rice, Oatmeal, Millet, Peas, Pea Flour, Egg Product, Chicken Fat (preserved with mixed tocopherols), Tomato Pomace, Duck, Salmon, Flaxseed, Natural Flavour, Fish Meal, Salmon Oil (A source of DHA) Choline Chloride, Dried Chicory root, Dried Kelp, Carrots, Apples, Tomatoes, Blueberries, Spinach, Cranberries, Rosemary Extract, Parsley Flake, Green Tea Extract, Barley Grass Extract, L-carnitine, dried Lactobacillus acidophilus fermentation product, dried Bifidobacterium animalis fermentation product, dried Lactobacillus reuteri fermentation product, Vitamin E Supplement, Iron Proteinate, Zinc Proteinate, Copper Proteinate, Ferrous Sulfate, Zinc Sulfate, Copper Sulfate, Potassium Iodide, Thiamine Mononitrate (Vitamin B1), Manganese Proteinate, Manganous Oxide, Ascorbic Acid, Vitamin A Supplement, Biotin, Calcium Pantothenate, Manganese Sulfate, Sodium Selenite, Pyridoxine Hydrochloride (Vitamin B6), Vitamin B12 Supplement, Riboflavin, Vitamin D Supplement, Folic Acid.